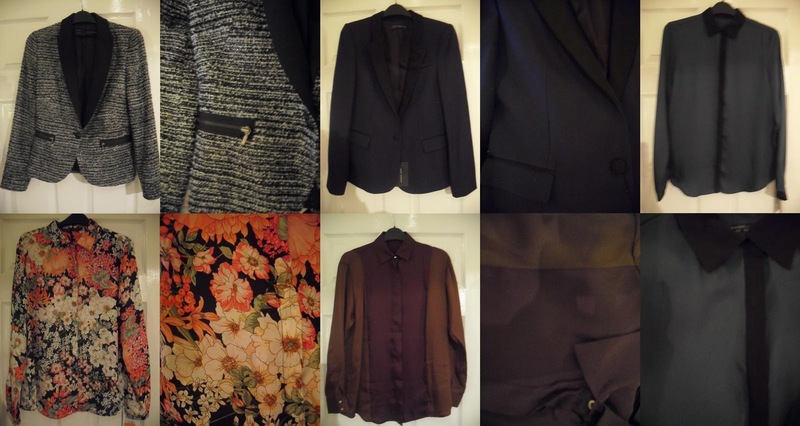 01: i saw this blazer on a blog ages ago and completely fell in love with it. as i hardly go to my local zara store, with it being a bit awkward to get to, i forgot all about it. so i was unbelievably happy when i saw it today though and got it for a bargain at £21. 02: because everyone needs a slim fitting navy blazer in their wardrobe. well, i know i do. 03: a blurry photo, yes, i should have probably taken another one. but this forest green shirt with black contrasting trim pretty much threw itself at me. 04: ah, the celine/jil sander esque shirt, i loved it when it first came out and thought i’d never be able to get my hands on it. luckily no one in the north east has much taste, so there were loads left for me to choose from. 05: i have this shirt in a peachy colour and it’s one of my favourites, so when i saw this one i had to get it. it’s a wonderful tobacco and plum colour, beautiful.